This is a fairly new quick serve restaurant facility currently serving Asian food. 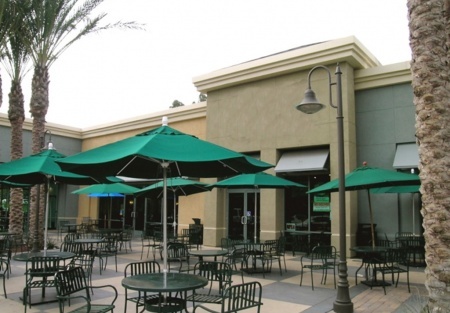 It is in a great location in a newer shopping center in the Thousand Oaks California area. Being owned by a large corporation, the equipment and facility is first class in a "AAA" Location. Just change the name and open the next day. Other possible foods are Italian, Pizza and any thing other than Coffee, Mexican, Sandwiches, Ice Cream, and Hamburgers and Hot Dogs. Point of sales system is not included. This is a Paramount Restaurant Brokers, Inc. DBA SellingRestaurants.com listing. "AAA" location in Thousand Oaks, CA. Needs a working owner or corporate chain.